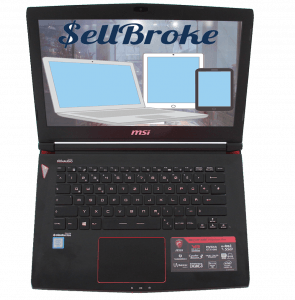 There are many, many options on today’s market for every type for laptop that you are looking for. There is everything between a replacement desktop type of laptop to an ultra thin ultrabook that you can take with you anywhere you go. 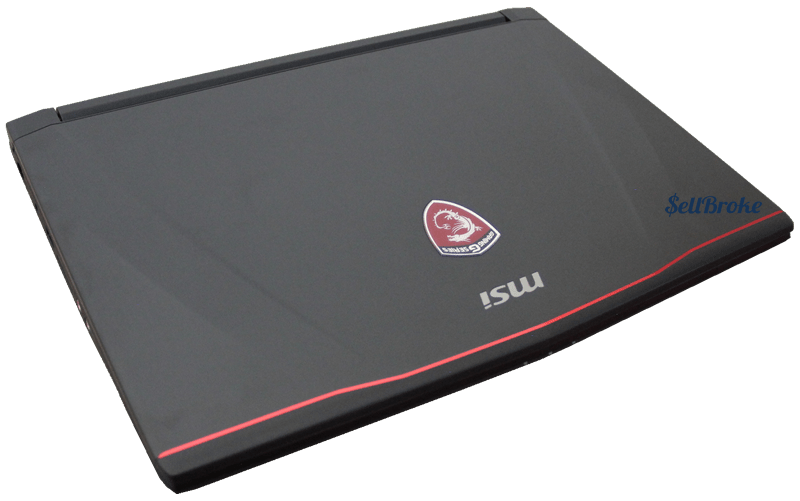 You have high-end working laptops that are designed for graphic arts such as Macs, and you have gaming laptops aplenty. 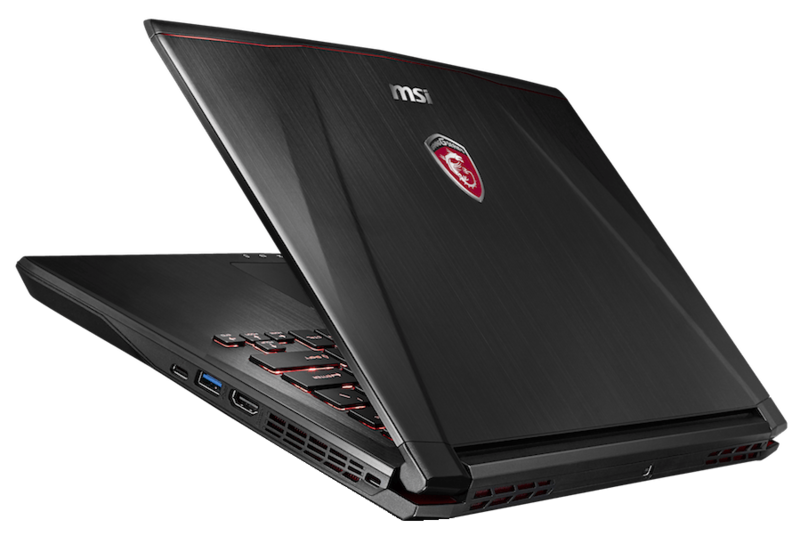 Today we’ll discuss the MSi GS43 VR Phantom Pro 14” gaming laptop. 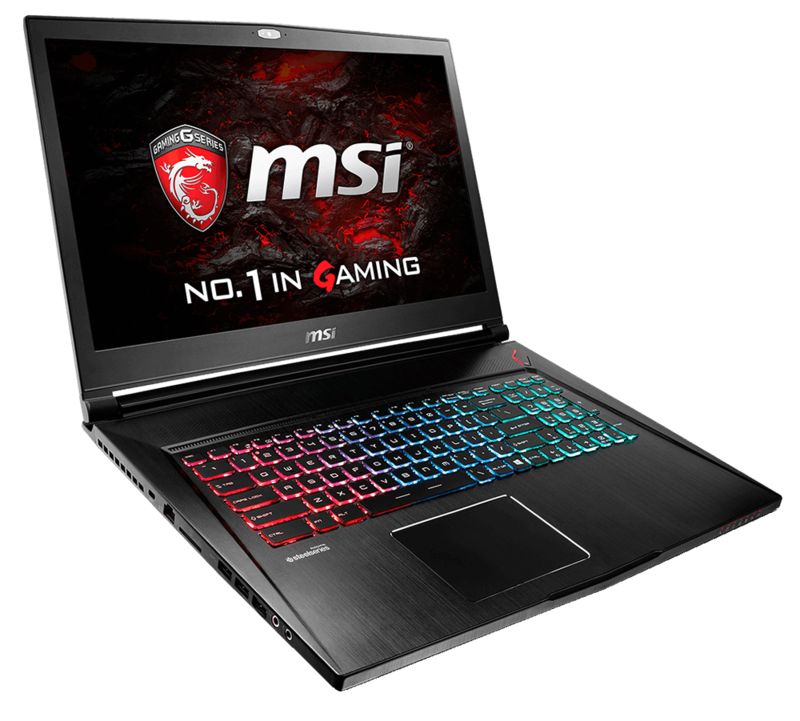 So those of you that don’t know the Phantom Pro is a thin line of gaming laptops from MSI. This one features a killer GTX 1060. 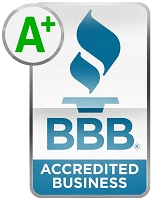 Here, take a look and see if it’s for you. 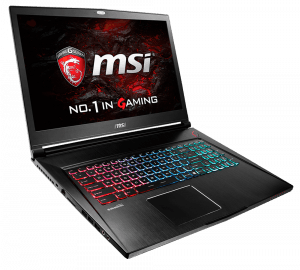 MSi gives you an Intel Core i7-6200 HQ, 16GB of DDR4 RAM a 14” Full HD IPS display and a NVIDIA 1060M. Retailing for $1,499.99 USD. The exterior of the laptop features a beautiful black brushed aluminum finish that looks gorgeous. 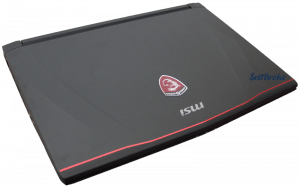 The MSI logo is very similar looking to that of Lamborghini. Unfortunately due to its color and finish it is a fingerprint magnet! It weighs in a 3.75 pounds and at its thickest point is only 0.87 inches. The bottom plate is made up of black plastic and has 5 rubber grips for good stability. The interior is clean, but can be deceiving. The palm rest is made of plastic but it kind of keeps that same brushed aluminum look that it has on its exterior. The build quality of the MSi G343 is pretty solid. The lid is very sturdy and when doing the pressure tests in various places there are no strange creaks or noises indicating instability. There is however some minor keyboard flex, but it’s still very solid and the build quality overall is very good. Here we will run through the basic connectivity of the machine. On the left side it has the RJ45 Ethernet port, charging port, USB 3.0, a SD card reader a microphone input and also a Hi-Fi headset input. Turning it to the other side it has a USB Type C, another USB 3.0, and a full size HDMI port plus some exhaust fan vents and the Kensington Security Lock Slot. Don’t forget to look on the backside because that’s where the mini display port is located. This laptop boasts a 14” Full HD IPS display. The colors are vivid and the color accuracy is great. Thanks to the IPS panel the side-to-side viewing angles are great, plus MSi gave us a non-glare coating that seriously reduces the reflection factor making it just that much better for viewing. This laptop has the Quad Core beast which is the i7-6200 Hq and this chip can tear through anything. But let’s take a look at the NVIDIA GeForce GTX 1060M Pascal GPU. The numbers from these Pascal chips have been breathtaking. The new chips offer so much horsepower they are almost as good as their desktop counterparts. You can expect to play all the Trip A high-end games on high settings at 1920 x 1080p with extreme ease. A quick test of Battlefield 4 set at 1920 x 1080p running on Ultra and it average about 75-90 frames per second , which is a big increase compared to the 960M that only gives you about 55-65 fps in high settings. After some extended game play for the light notebook the temperatures remained pretty efficient. At the back of the palm rest was the hottest point at about 55º C and the WASD keys came in at around 40º – 45º C. The cooling efficiency of the 1060M was pretty good. The keyboard is provided by Steelseries and it offers great tactile feedback, excellent key travel and that provides and en enjoyable overall typing experience. As far as a backlit keyboard there are two options of low and high. The trackpad is very large and spacious but you do need to press down pretty firmly to get a click. Everything else is on point: two-finger scrolling and multi-gestures were just fine and accurate. There are 2 front-facing speakers that provide decent sound but they are missing that low-end kick due to the absence of a sub-woofer. Battery life is acceptable for a 14” laptop. You should expect about 3.5 – 4.5 hours of casual usage and for gaming about 1.5 – 2 hours before needing to find an outlet. 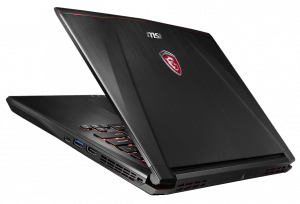 Need extra cash to buy the new MSI gaming laptop? 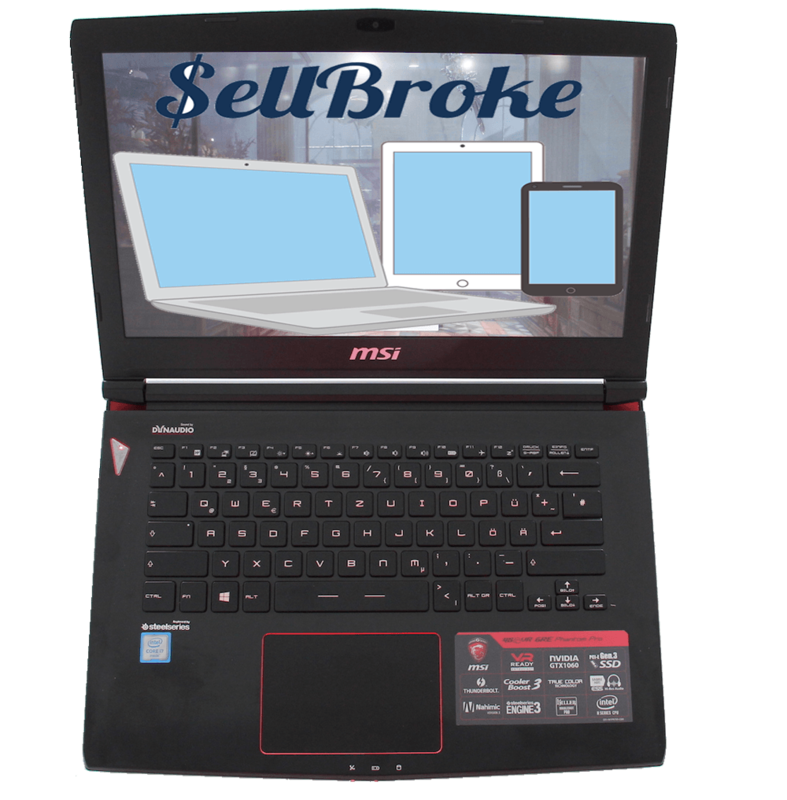 Sell your old laptop to Sell Broke.